Is the advent of easily available recording technology coupled with mass-distribution of content through social media platforms allowing for the democratization of the state’s surveillance apparatus? 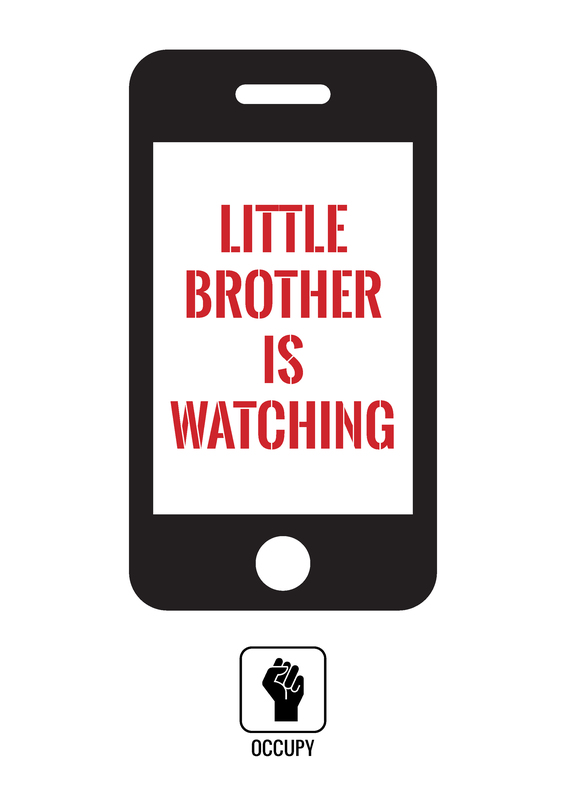 Most of us fear the totalitarian dystopia imagined in Orwell’s Nineteen Eighty-Four, in which citizens are controlled and stripped of private rights through the use of technologies enforcing total surveillance. It is easy to draw parallels with our world today, where the proliferation of CCTV devices and the use of surveillance drones by law enforcement eerily appear to emulate Big Brother’s tactics. In fact, police forces worldwide are increasingly relying on overt and covert surveillance technologies. In the UK, police plan on deploying unmanned aerial vehicles to aid them in day to day surveillance operations in the light of the 2012 Olympics. Similarly, on the ground, police are increasingly using Forward Intelligence Teams – officers armed with camcorders and other recording equipment used to document anti-social behavior. Still, local governments continue to spend large sums of money on CCTV surveillance, despite evidence questioning its effectiveness as a deterrent. However, in the past years we have witnessed the mass-consumption of relatively cheap products such as cell-phones equipped with camcorders. By now, any footage recorded by these devices is easily disseminated on the web thanks to social media platforms such as twitter and facebook. For example, the worldwide protests of 2011 have captured hours of footage in which civilians documented and “surveilled” law enforcement operations from Tahrir Square to Wall Street. We are all familiar with the grotesque images of a police officer pepper-spraying a row of seated and peaceful students at UC Davis. Today we live in a world in which technology allows virtually anyone to easily document the actions of the same individuals whom operate the state’s surveillance apparatus. 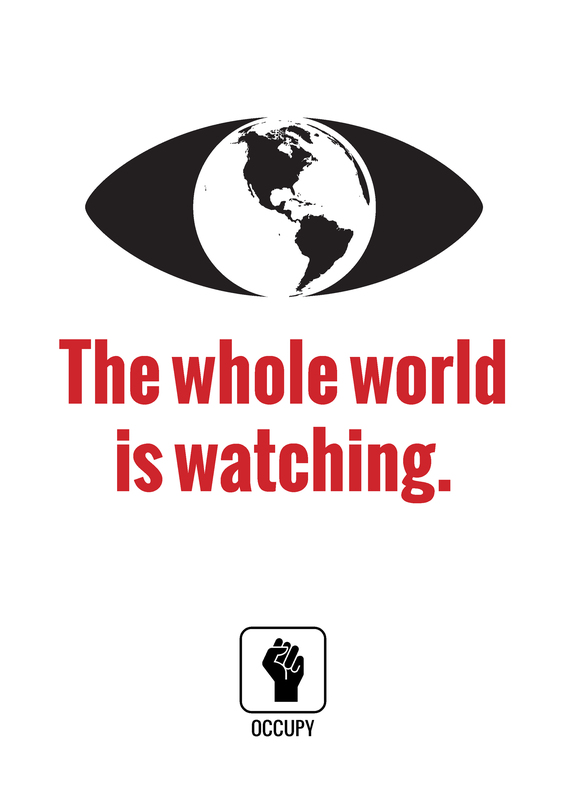 What occurs to the logics underlining mass surveillance when the “watched” are finally able to “watch the watchers”? And what implications does this have on the dynamics informing popular protest? The French philosopher Michel Foucault studied the effects that mass surveillance has on society very carefully. For him, modern law enforcement could not possibly sustain the economic cost of maintaining social order through the threat of physical coercion alone. Modern mass democracies would enforce compliance to law through less intrusive and more subtle techniques: techniques which would push individuals to “self-police” themselves. Foucault refers to one of these techniques as “panopticism”. In his studies regarding carceral institutions he analyses the architectural plans of a new type of prison built during the 19th century. The Panopticon was the first prison constructed in such a way so that inmates were always visible to the wardens, but where the inmates could not see the wardens. Its effect was that of forcing inmates to behave as if actually being observed, even though no-one was observing them. Modern surveillance devices such as CCTVs function along the same logic, as “eyes that must see without being seen”. For Foucault, this type of constant and total surveillance produced disciplined subjects; individuals whom would spontaneously conform to socially acceptable behavior thereby conspiring in their own self-regulation. Its effects were those of discouraging abnormal behavior –such as political protest- while fostering acquiescence and the internalization of the status quo. Panopticism, said Foucault, “was the most direct way…of making it possible to substitute for force or other violent constraints the gentle efficiency of total surveillance”. Yet, alas, Foucault died just before the mass availability of today’s recording devices and before facebook and twitter accompanied the Arab Spring and the Occupy movements. However his ideas might still prove useful in determining the effects that these new technological innovations have on society. On one hand, the fact that we are increasingly watched not just by law enforcement but also by the public at large might reinforce and possibly magnify the discipline-inducing effects that Foucault highlighted. Individuals might feel observed to an even greater extent and behave in an ever more docile manner -with serious implications on their willingness to publicly vent political contention. Moreover, it might render individuals fearful of their neighbors, thereby tearing at the social fabric of our communities. Finally, it would negatively impinge on one’s sacrosanct privacy. On the other hand, the ability of any individual to surveil public officers might induce law enforcement institutions to “self-police” themselves. The footage of Iraq veteran Scott Olsen, an ex Marine, being shot in the head with a tear-gas canister at an Occupy Oakland protest created public outrage in the US and caused a serious investigation of the Oakland Police Department’s tactics. Last December at an Occupy Wall Street protest the Guardian reported the use of the “occucopter”: a remote controlled helicopter equipped with a camcorder, broadcasting live on the web and documenting police repression. Such devices are often the only instruments that a non-violent protest movement such as Occupy may employ against violent crackdowns. These technological innovations have the potential to enforce accountability and to increase transparency, particularly within the murky dynamics of street protests. Being able to record and effortlessly disseminate evidence now allows any citizen to report “abnormal” behavior (as Foucault would put it) exhibited by law enforcement officials such as with the pepper-spray incident. However, this new-found ability possesses actual potential only if used to enforce compliance to law, to civil/human rights and to the norms of dignity. Moreover, it is effective solely when those caught breaking the law are held responsible for their actions or when the footage captured manages to influence public opinion. Perhaps the apparent “democratization” of the surveillance apparatus is not a game-changer for social movements and will not tilt the game of political contention in favor of protesters. But it does serve to remind us that in any healthy democracy everyone should be held accountable for their actions, and if the evidence garnered by and spread through new technologies serves this purpose then this new phenomenon should be welcomed.